The extraordinary idea of the army delivering food and medicines to people in the event of a ‘no deal’ Brexit is, unsurprisingly, currently taking up a lot of Brexit attention. But both the UK government and the EU are still focused on getting a deal. If they do agree a deal by December, attention will focus on whether it can get through Westminster, the European Parliament and the European Council ahead of Brexit day on 29th March 2019. A deal can certainly be done but it will require the UK, at least, to move more than it has so far. An Irish backstop must be agreed – possibly one, according to several recent reports, that involves a special deal for Northern Ireland but also has a second part on customs. In that crucial second part, the EU and UK, if the backstop is triggered, would also commit to negotiating rapidly a customs arrangement, aka effectively a customs union, so there was no customs border in the Irish Sea, even though there would probably be a regulatory border. The EU can’t commit 100% to this in the Article 50 talks and the withdrawal agreement, any trade deal has to be negotiated under Articles 216-218 of the Lisbon treaty, but some suitable form of words might be found. A deal also needs a political declaration on the framework for the future UK-EU relationship. This might look tricky given Michel Barnier, last week, rejected the UK’s proposals, in May’s white paper, for a facilitated customs arrangement and raised several key questions on the UK goal of effectively staying in the single market for goods. But it’s not impossible. The UK would need to shift some more on the future relationship too. And the EU may need to agree to fudge some of the language for now, not least on customs. But it’s a declaration not a trade deal and if it contains encouraging words on creating almost frictionless borders for goods, May could claim it’s in the UK’s interests – if her government doesn’t implode in the process – while the EU could claim it is aiming at a better-than-Canada deal without crossing its own single market red lines. If the EU has achieved a withdrawal agreement, including a deal on the divorce payment, EU citizens’ rights and a legally watertight Irish backstop, then both the European Council and European Parliament would be likely to support such a deal – and a fudge on the future relationship could be acceptable to them for now. Will Westminster Pass a Brexit Deal? If there’s a Brexit deal and Westminster passes a government motion supporting the deal, then Brexit will be set to happen as planned on 29th March 2019. Tory Brexiters: Any deal is likely, though, to contain plenty of neuralgic points for the Tory Brexiters – from the Irish backstop to the particular language of the future relationship declaration. If 20 or more Tory Brexiters voted against the government, and with the opposition, the deal could be rejected. A political and economic crisis would ensue – with calls for a general election alongside calls for another EU referendum. If, though, the Tory Brexiters vote with May – to get the UK out of the EU on any deal for now – then May would probably have the numbers. Tory ‘remain’ rebels: A related question on the parliamentary arithmetic is whether, and how many, ‘remain’ Tory rebels would vote against the deal. They may be reluctant to do so if it has protection for EU citizens in the UK, and UK citizens in the EU, and an Irish backstop that might keep the UK in a customs union indefinitely. And so the chances of getting 12 or more Tory rebels (around 16 could be needed) look slight for now. But another central and related issue is whether the Commons Speaker allows amendments to the government’s motion on the Brexit deal (this relates to the ‘compromise’ outcome after the failure of Dominic Grieve’s amendment on a meaningful vote). If amendments are allowed, then the Tory ‘remain’ rebels may be much more likely to support an amendment on a ‘people’s vote’ than to vote against the Brexit deal as such – and the amendment would be voted on first. But for this to go through, Labour would need to shift its position and the SNP to sharpen and shift theirs too. Labour: Will Labour, apart from its 4-5 rebels, vote against any Brexit deal that May brings home? The general presumption is that they would. Corbyn is looking for any chance to trigger an election and if Westminster rejects the deal, an election is surely then likely (even given the challenges of the fixed term parliaments act). Yet, back in March, shadow foreign secretary, Emily Thornberry suggested the government’s deal could contain such ‘bla bla’ that it could pass Labour’s six Brexit tests – a view that Brexit shadow Keir Starmer strongly rejected. Given that Labour’s leadership is pro-Brexit, would Labour MPs definitely vote against a deal when there would be strong pressure from some quarters, including Ireland, possibly business, possibly some EU citizens in UK and UK citizens in the EU, to let the withdrawal agreement go through? After all, if the future relationship declaration is fudged, and Labour agree with the contents of the withdrawal agreement, the argument to oppose could at least be challenged by some inside the party (also depending on how Labour is then doing in the polls). Labour potentially abstaining (more likely perhaps than voting with the government) cannot entirely be ruled out – even if a vote against currently looks more likely. SNP: If Labour opposes any Brexit deal May brings home, will the SNP do the same – vital too for parliamentary arithmetic. At first glance, it looks obvious that they would. The SNP has argued for the UK to stay in the single market and customs union as the ‘least worst’ Brexit but May is highly unlikely to bring home such a deal or to retain Tory Brexiter support if she did (but if she did, surely the SNP would then have to vote for it). But May might bring back something that looks, arguably, a bit close to this: a ‘decent’ withdrawal agreement with its Irish backstop akin to a customs union and a future relationship declaration with a goal of frictionless borders. If the SNP did vote against the deal even so – in the face of claims that the UK would then face ‘no deal’ chaos – the SNP would need a line for what they want to happen if Westminster rejects May’s Brexit deal. If they want a better deal – single market and customs union – then do they want a general election to deliver a government that would negotiate that? Or would they support (rather than ‘not blocking’ as Sturgeon has put it) a people’s vote with a goal of staying in the EU after all? The SNP will have to choose. If they were to abstain on the withdrawal agreement, not wishing to jeopardise the Irish backstop, EU citizens rights and so forth, then they will have been complicit in Brexit. If they vote against, they will need clearer positions than they have now on what should happen next. The SNP might demand a second independence vote, but that wouldn’t get them away from needing to take a position on having a general election and/or a ‘people’s vote’ if the Brexit deal is rejected. Those latter two will be the immediate choices. Depending on the Tory Brexiters and Tory ‘remain’ rebels, both Labour and the SNP may then face a situation, later this autumn, where the Tory Brexiters decide to back May and the government motion on the Brexit deal is set to pass. If the Speaker accepts a ‘people’s vote’ amendment, will Labour and the SNP support that, abstain or vote against? Labour has so far not backed a further EU referendum. But if it looks like the Brexit deal will pass, backing a ‘people’s vote’ could be a way not only to trigger another referendum (causing a major problem for the Tory government) but potentially a general election too. If Westminster supported a ‘people’s vote’, it’s hard to envisage May staying in power and being the one to deliver that – including asking the EU to extend Article 50 while it took place. Rather than an implausible, and unnecessary, government of national unity running a ‘people’s vote’ (it’s not war time), there could be a strong argument for a general election before such a vote. So there would be a strong temptation for Labour – if they want an election but don’t think they can vote down the Brexit deal – to swing behind a ‘people’s vote’, albeit at a very late stage and for entirely tactical reasons. The SNP’s position on a ‘people’s vote’ is a somewhat fudged one of not coming out strongly in favour of such a vote, but suggesting the SNP would not block another EU referendum (should Labour back one), as long as Scotland’s views were not ignored this time. This harks back to Nicola Sturgeon’s unsuccessful demand for Scotland to have a veto on the referendum result back in 2016. SNP MPs might put an amendment to that effect at Westminster – but there’s little chance it would pass. So the question then is whether SNP MPs would then support a people’s vote amendment at Westminster – where their support would be vital – if the alternative was the Brexit deal going through unamended. Or would they abstain on a ‘people’s vote’ – so killing it off (if Labour had decided to back it). The vote on such an amendment would take place before the vote on the deal (amended or not) so both Labour and SNP would have to take a long hard look at the parliamentary arithmetic in deciding whether to back a ‘people’s vote’ or not. Up to now, the SNP has said it’s Labour who is most dragging its feet on such a vote. But in the autumn, the chips will be down – and both parties will need to decide what position they are taking. It will be decision time. Nicola Sturgeon has also said that, once the Brexit path is clearer in autumn 2018, she will set out her views on a second independence referendum. With the future UK-EU relationship quite possibly fudged in the political declaration, this would seem to give her plenty of wiggle room to say it’s still far too unclear to decide on another independence vote. 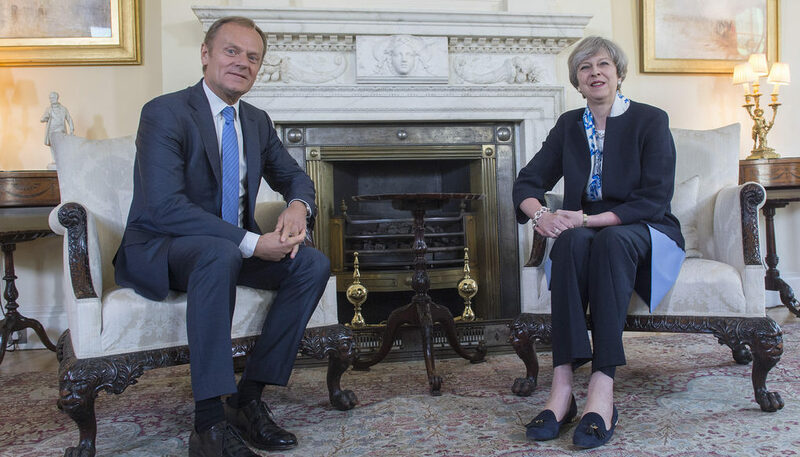 But it will be a huge political moment, with the UK set on a course of economic damage and continuing major political divisions internally – so a presumption that it will be easy to avoid any major commitment may be wrong. More than that, the other possible scenarios in the autumn may not make such vagueness on a future independence referendum that simple. If the withdrawal agreement is rejected at Westminster and if, amidst the ensuing crisis, there’s a general election – with a minority Labour government as one quite possible outcome – the SNP would need to decide what to demand to do a ‘confidence and supply’ deal with Labour. It would need a position. It could demand another independence referendum or a ‘people’s vote’ on Brexit – or even both. But if it only demands another independence referendum, otherwise going along with a Labour Brexit, then it would be complicit in that Brexit. Equally, if the SNP decide to back a ‘people’s vote’ amendment at Westminster this autumn, despite not getting a veto for Scotland, they would surely need to make a political demand at that point for another independence vote, should England and Wales (and so the UK as a whole) vote again for Brexit (even if there’s no guarantee they would then get that second independence vote). It would otherwise look like a very weak giving up of their position on a ‘people’s vote’. Fudging both the timing of an independence referendum and the SNP’s position on a ‘people’s vote’ looks like getting more difficult as Brexit D-day draws nearer this autumn. If May brings home a deal by the end of the year, both Labour and the SNP will have to face up to taking a clear stance not only on that Brexit deal but also, quite probably, on a ‘people’s vote’. Labour may prefer simply to vote down the deal and aim to trigger an election but they are quite likely to have to take a position on a ‘people’s vote’ first. The SNP too are likely to find they cannot avoid a clear position on a ‘people’s vote’ as the autumn unfolds. More than that, the SNP may find the politics of the autumn make it harder than some now envisage to avoid a strong political commitment to another independence vote. Kirsty – great, analytical article as usual. Thanks. One qu: you assume we have until December to strike a deal. Is that now the current timing with October having been pushed back? Seems to me to be somewhat late in the day for (1) any of the parliaments to approve/consent to the agreement before 29 March and/or (2) any of the shenanigans you describe above to take place. Peter – official aim is still October, seen as v likely that could need an emergency summit in November or go to December summit. Yes it’s then tight but been said that European parliament needs 6-8 weeks so could still be done – just.